Space Command Intelligence operates to the full width and breadth of Galactic Alliance space— and beyond. Intelligence gathering is a dangerous profession, and most agents operate alone, or with a single partner, but there are exceptions. 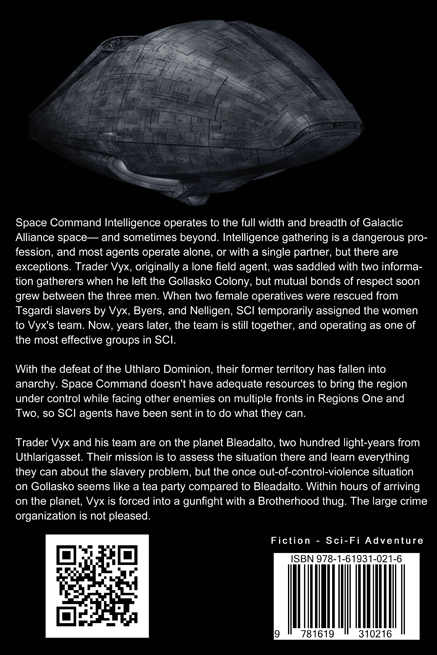 Trader Vyx, originally a lone field agent, was saddled with two information gatherers when he left the Gollasko Colony, but mutual bonds of respect soon grew between the three men. When two female operatives were rescued from Tsgardi slavers by Vyx, Byers, and Nelligen, SCI temporarily assigned the women to Vyx's team. Now, several years later, the team is still together, and operating as one of the most effective groups in SCI. With the defeat of the Uthlaro Dominion, and the annexation of their empire, since designated as GA Region Three, the massive territory has fallen into anarchy. 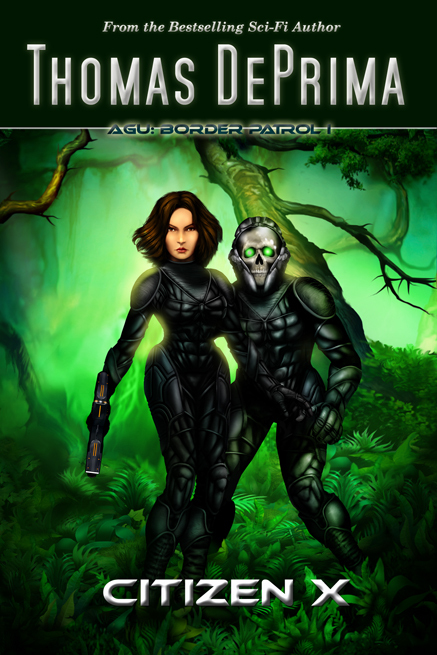 Space Command doesn't have adequate resources to bring the region under control while facing enemies on multiple fronts in Regions One and Two, so SCI agents have been sent in to learn the situation and do what they can. 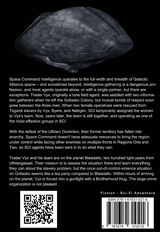 Trader Vyx and his team are on the planet Bleadalto, roughly two hundred light-years from Uthlarigasset. Their mission is to assess the situation there and learn everything they can about the slavery problem, but the once out-of-control violence situation on Gollasko seems like a tea party compared to Bleadalto. 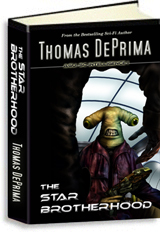 Within hours of arriving on the planet, Vyx is forced into a gunfight with a Brotherhood thug. The large crime organization is not pleased.